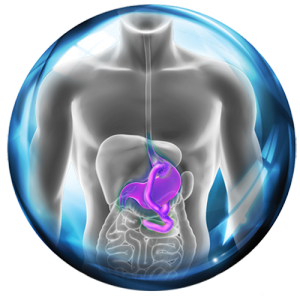 Glucagon-like peptide – 1 (GLP-1) is a gastrointestinal hormone that is released post-prandially from the L-cells of the gut. Upon binding to GLP-1 receptors on the beta cells of the pancreas, insulin is released and blood glucose levels are lowered. In Roux-en-Y gastric bypass (RYGB) surgeries, which comprise over one-third of all bariatric procedures, a typical carbohydrate loaded meal results in most patients experiencing early nutrient sensing which triggers calcium stimulated GLP-1 secretion by intestinal L-cells. Post-prandial GLP-1 is increased 10-fold in these patients and is even higher in those with post-bariatric hypoglycaemia. 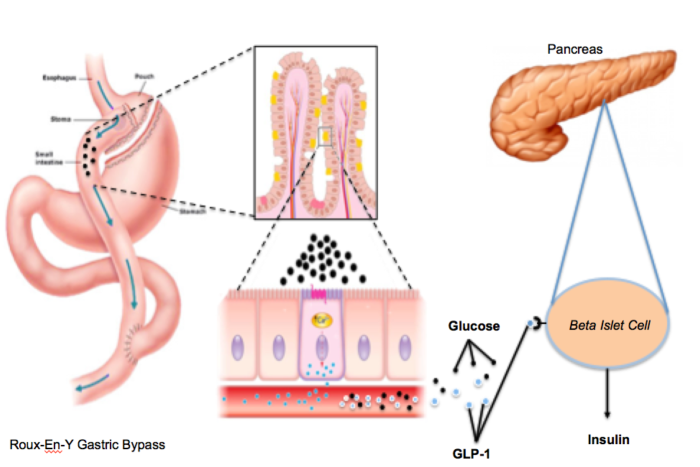 GLP-1 circulates to the beta cells of the pancreas where it binds G-protein coupled receptors, releasing insulin, and lowering blood glucose levels. In most patients, this glucose-lowering effect is metabolically beneficial, and improved glycemic control is achieved. However, in approximately 5-10% of RYGB patients, the glucose lowering is severe, putting them at risk for seizures, altered mental status, loss of consciousness, cognitive dysfunction, disability, and death. Quality of life is severely diminished, and many patients cannot care for themselves or others, work, drive, or be left alone. While mild cases of hyperinsulinemic hypoglycemia can be managed with dietary carbohydrate restriction, moderate-to-severe cases are refractory, and medications (e.g. octreotide, diazoxide, verapamil, acarbose) have both poor efficacy and tolerability. There is no effective treatment for severe hypoglycaemia associated with bariatric surgery.